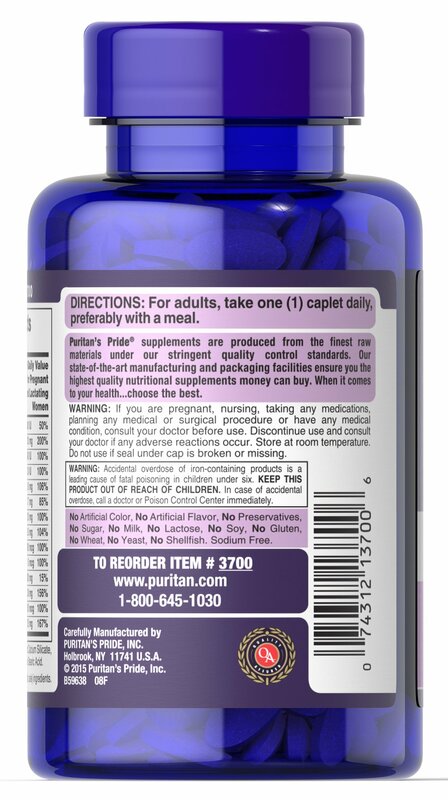 This supplement is an excellent source of some of the nutrients you may need during pregnancy and lactation. 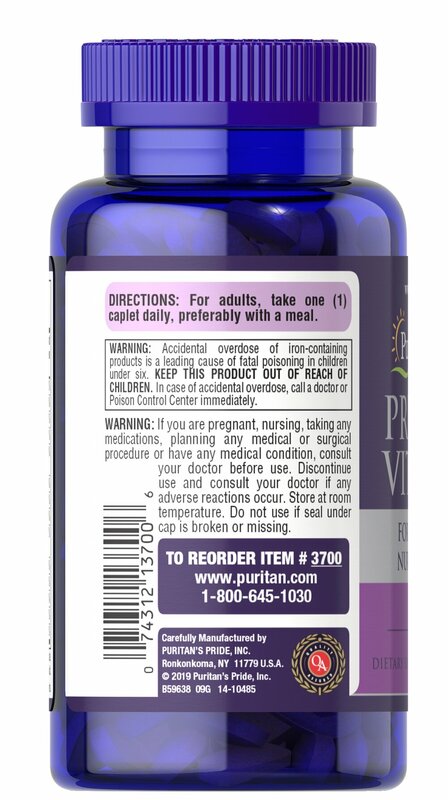 ** Specially formulated to meet the unique nutritional needs of prenatal and postnatal women, this daily multivitamin contains 800 mcg of Folic Acid. Folic Acid is important to expectant women because healthful diets with adequate folate may reduce a woman’s risk of having a child with a brain or spinal cord birth defect. 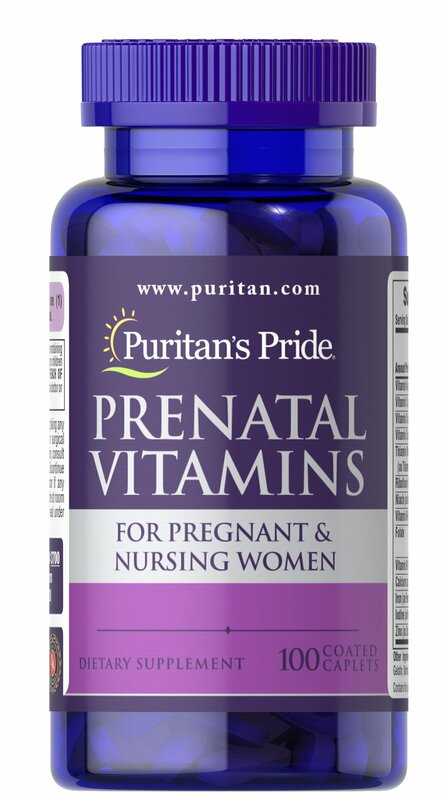 Puritan's Pride Prenatal Vitamin formula is a good source of Calcium, one of the most important minerals in your body, and a good source of Vitamin D, which assists in the absorption of Calcium. 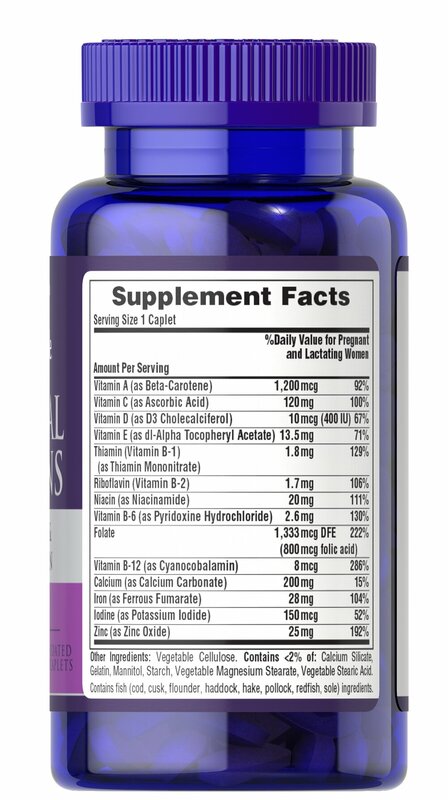 ** In addition, these prenatal vitamins contain Iron, a vital component of hemoglobin that plays a key role in energy metabolism. ** Because Iodine is essential for the normal prenatal development of the baby, there is 150 mcg of Potassium Iodine per serving.